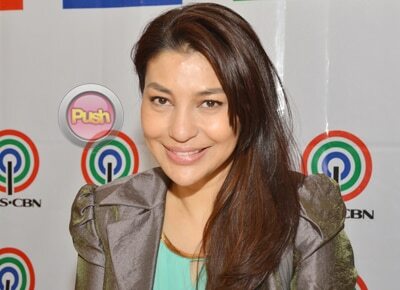 Lani Misalucha is back in the country and is set to release an album under Star Records titled The Nightingale Returns. The singer shared that her new record will contain songs of different styles and unique themes. "Siguro iba ba ‘yung pagkanta [sa album] ko, iba-iba ‘yung tema, iba-iba ‘yung tunog kaya kakaiba siya eh,” she said. She remarked that she is truly elated to be part of the Star Records family and to embark on a new journey with the recording company. "I really feel ecstatic and happy na I am here. I am very, very happy that there are new people surrounding me, new company, new adventure," she stated. On why it took so long for her to release an album again in the Philippines, she commented, "I don't know, siguro talaga lang inihain lang 'to sa akin, ito na talaga 'yung tamang panahon," she said. She's also looking forward to doing concerts in the country. "Definitely meron yan, pero aayusin, paplanuhin," she said. If given the chance to collaborate with an international artist, Lani shared that she dreams of working with Filipino-American singer Bruno Mars. "Sa ngayon [gusto ko mag-collaborate with] siyempre pinakasikat siguro si Bruno Mars. Napakahusay niya, parang gumawa siya ng sarili niyang genre, nag-create siya ng sarili niyang music lalo na nong nag-perform siya sa halftime show, talagang at top of his game," she said. When asked about her advice for all the aspiring singers in the country, she relayed, "If they want to be a singer, mag-perform, make it sure that they are not just there to sing for themselves, they have to sing their songs to everyone. They really have to share their soul I guess 'yun 'yung makikita 'yung kabuuan mo if an individual looks at you they can actually look into your soul and understand your whole being," she said.